Last December, flags in New Jersey flew at half-staff to honor the memory of State Trooper Lt. William Fearon, who died at the age of 49 from illness related to toxic exposure at Ground Zero. For weeks after the towers collapsed, Fearon searched for survivors; on and off for the next two years, the trooper searched for remains. 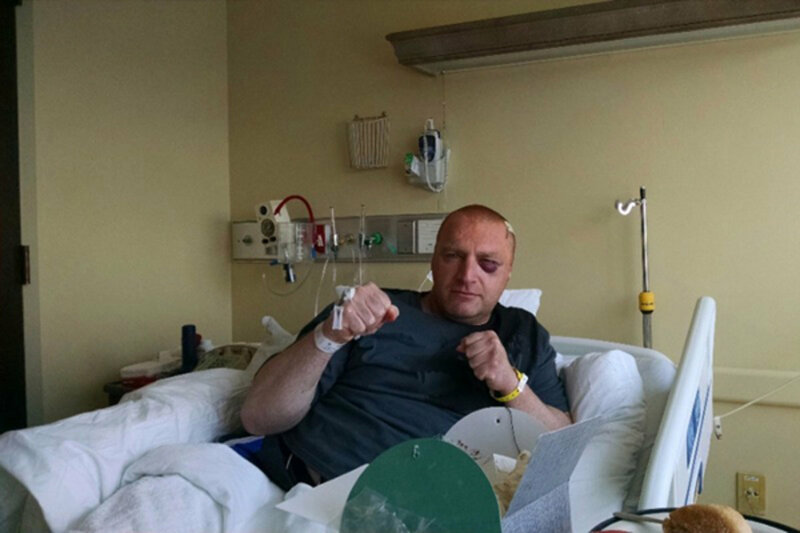 In May 2015, more than a decade later, this husband and father of three was diagnosed with glioblastoma, a rare and aggressive brain cancer. As mentioned in the Philly.com article on the trooper’s death, glioblastoma is almost always fatal in patients who experience its symptoms — difficulties with speech, muscle movement, reading, and thought — prior to diagnosis, because by then, the tumor is just too fully developed. It is impossible to say with certainty that 9/11 exposure caused Fearon’s cancer, because glioblastoma is too rare to correlate. But the September 11th Victim Compensation Fund currently recognizes more than 70 different types of cancer as presumptively related to fallout from the terrorist attacks. At Rutgers’ Biomedical Health Sciences Center in Piscataway, N.J., where he received treatment, Fearon was known for his fighting spirit, captured succinctly in the “No Fear” wristbands he frequently handed out to fellow patients and visitors. William Fearon’s story echoes the stories of so many first responder clients we’ve represented at Barasch & McGarry. They are the bravest and the finest. Their dedication to the fallen, and their determination to fight the illnesses they contracted as a result, demonstrate the very best virtues of our shared humanity. It is good to see Lt. Fearon’s home state give him the honor he deserved.